This book is available online through Amazon.com This is an affiliate link and we may receive a commission for any purchases. Thank you for your support! Who am I? Why am I here? What is my life about? These are the questions that have shaped philosophy religion, and human civilization as a whole. They are also the questions we use to shape and measure our own individual lives. In this fascinating discussion, David Spangler presents fresh insights about what motivates us, inspires us, transforms us, and sustains us. 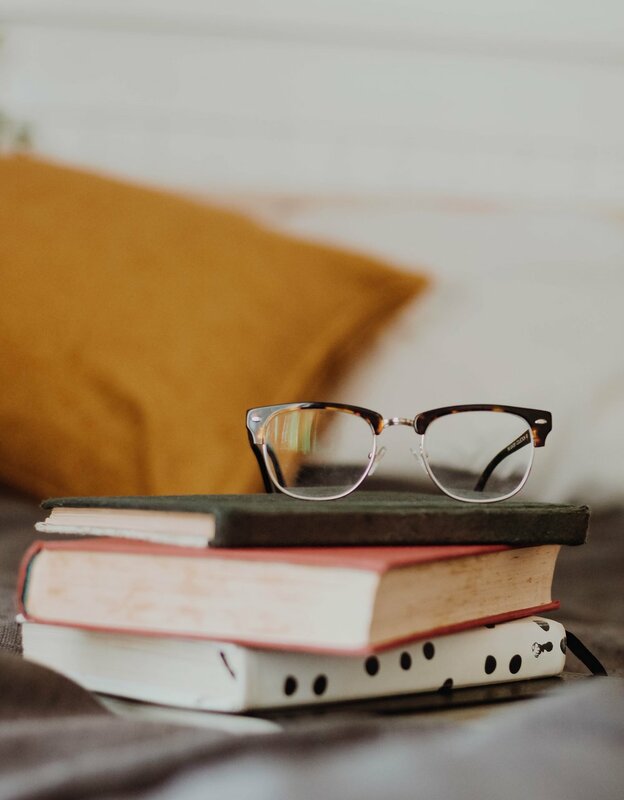 He examines the impulses behind what we choose to value in life—the intellectual, emotional, and spiritual framework within which we conduct ourselves. 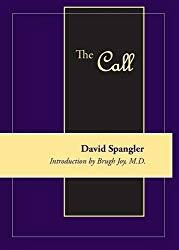 The Call offers gently provocative thoughts on the content and character of our destiny. Small Paperback. This book is a basic introduction to Incarnational Spirituality. It describes a spirituality developed by David over 40 years working as a teacher in concert with inner colleagues and subtle realms. It includes several original exercises and contains 132 pages. Paperback version 5.5" x 8.5". This is an introduction to the core message of Incarnational Spirituality: We are born into this world not as exiles from our "true home", not as students seeking to learn and then graduate to a better place, not as debtors working to pay off past obligations, but as generative sources of life, Light, and sacredness. We come in love to be caretakers and partners with the world to help foster her life. We come carrying a sacred flame within us to kindle the sacred potentials within the world. Discovering and sharing this inner Flame is our Journey into Fire. It’s what Incarnational Spirituality is all about. Color interior and cover - 132 pages. 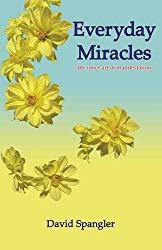 This amazing book chronicles sixty plus years of a modern mystic's experience of the subtle worlds of spirit. Taking the attitude of a field biologist, David Spangler shares his rich experience and wisdom gleaned from encountering Angels, post-mortem realms, Spiritual Forces, Inner Mentors, Elementals, and other inhabitants of our natural "second ecology". He makes the case that for humanity to be healthy and whole and able to meet the global challenges before us, we need to appreciate and engage these rich and fascinating "energy" environments and the potential allies who live within them. The pages are chock full of interesting stories and anecdotes of the unseen Beings which share our planetary and spiritual life. This book is the second in a trilogy of books describing David's insights and experiences with the non-physical dimensions of the Earth. Subtle Worlds: An Explorer's Field Notes provides an overview of these non-physical dimensions. The third book will be about how to safely engage and work with subtle beings. This book covers the middle ground. It is neither an overview nor is it about subtle beings themselves. It is about subtle energies, qualities and forces that fill the non-physical world the way sunlight fills the physical air around us. It is about energy hygiene, methods and techniques for working with these non-physical forces. 252 pages with 39 color illustrations. For as long as he can remember, David Spangler has been physically aware of a spiritual world existing alongside this one. In 1965, David Spangler left college to follow an inner spiritual calling and encountered an extraordinary presence, which he named “John.” Over the next quarter-century John would assist David in exploring the “inner worlds” of the spirit, and would tutor him in some of the most basic mysteries of life and the nature of the human spirit. 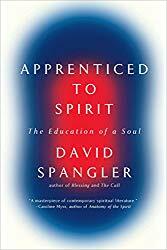 In Apprenticed to Spirit, Spangler recounts how John showed him the way to develop a spiritual intelligence—what Spangler calls “a mind of the soul”—and how to integrate it into everyday life. Spangler learned to think with his soul and embarked on the apprenticeship to understanding the sacredness of our world and of the realms beyond ours—a journey that continues to this day. In 2011, both David Spangler and Jeremy Berg experienced independent but related contacts with a group of Sidhe. These Sidhe were interested in promoting closer contact and collaboration with humanity. Led by a Sidhe named Mariel, this contact resulted in the creation of the Card Deck of the Sidhe. This deck is a part of the ongoing exploration and collaboration with the Sidhe, as they seek to have a greater partnership with humanity in the twenty-first century. This beautifully illustrated Card Deck of the Sidhe is composed of both the original and extension decks comprising a 55 card full color, poker sized (2.5"X 3.5") deck which come in a fabric carrying pouch. Included is a full combined printed manual outlining the storytelling, meditative, and oracular uses of the both the original 33 cards and the 22 card extension deck. Art by Jeremy Berg. This card deck is available online through Amazon. This is an affiliate link and we may receive a commission for any purchases. Thank you for your support! This Card deck and Manual craft a training in the cosmology and basic techniques of manifestation. Manifestation is the process of making something tangible by applying states of consciousness to the subtle energy fields of the world. It is a form of energy hygiene. More an incarnational process than one of acquisition or attraction, an understanding of the principles of manifestation give us techniques for shaping and crafting our lives in positive ways. This book, using the 55 cards of the Manifestation Card Deck as a tool, explores these techniques and the principles underlying them. Artist Deva Berg.